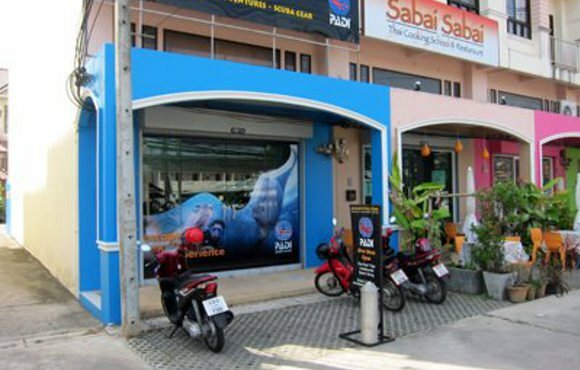 With a full selection of dive equipment, airconditioned classroom and diver lounge to relax in between classes or after dives PADI 5 Star Dive Centre, Kiwidiver offers you one of the most professional training environments in Phuket. Kiwidiver is all about quality. We believe in offering our family of customers the finest dive gear, scuba training and dive experience opportunities available. 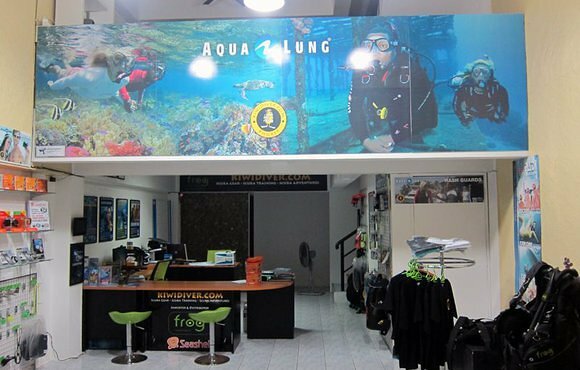 Regardless if you are a new diver or an experienced one, you can always rely upon Kiwidiver to provide top quality PADI scuba training, dive gear &service. With a maximum of two students to each of our PADI instructors and one on one individual training available, you will gain confidence and experience unmatched by any other scuba diving course. The dive sites near Phuket are considered to be amongst the best places in the world to dive and see a variety of sea-life like sharks, corals and fossilised cliffs. Phuket is an ideal place to book a live-aboard trip that takes you out to the Similan islands in the Andaman Sea or you could stay in a hotel and scuba dive every day. Phuket is a well-known tourist location with colourful markets, a vibrant culture and a thriving nightlife. You can trek into the mountains and nearby jungles to visit historic sites, monasteries and enjoy rare views of the Thai landscape. Fishing for marlins, sailfish and Mahi-mahi is a popular past-time along the shores of Phuket during the monsoon season.